Born 1959. Writer, filmmaker, bebopist and obsessed with the American roads (especially the backroads). Lives and works in Copenhagen, Denmark. Specialized in American avantgarde art. Books, articles and films on Fluxus, video art, documentary film, New American Cinema, road movies, the Beat Generation, New York’s downtown scene, improvised music, Jazz & Poetry etc. Also books and films on Danish cultural icons like Torben Ulrich, Jørgen Leth and Dan Turèll. 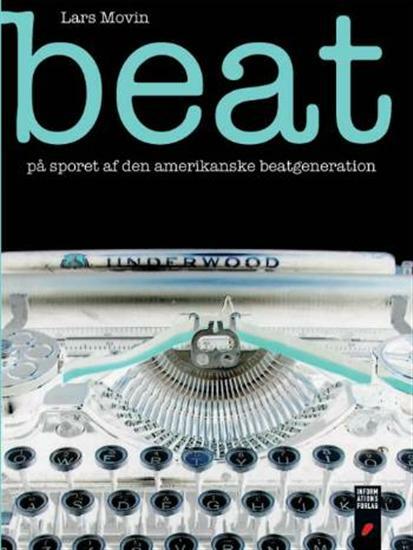 Among the most recent publications (in Danish) are a book about the Beat Generation (Beat, 2008) – ten years of research crammed into 670 pages – and a monograph on Captain Beefheart (2010), based on interviews with the Captain himself and his closest allies in The Magic Band. September 2010: publication of Downtown – en New York-krønike, about the New York downtown scene in the 1970s and 80s – based on thirty visits to New York since 1987 (688 pages, Danish only). In May 2010 the documentary Words of Advice – William S. Burroughs on the Road (Lars Movin & Steen Møller Rasmussen, 2007) was released worldwide on DVD (double-sided Pal/NTSC disc) by the American distributor Microcinema (order from: www.microcinema.com). “Words of Advice is a very rare thing in documentary: a film that will appeal equally to the uninitiated and the long-time fan. Whereas most documentaries either present a superficial overview of the subject suitable for newcomers or dive directly into esoterica, Words of Advice balances the never-before-seen footage (sure to appeal most to longtime fans) and more general interviews (that provide a nice intro for new viewers). Sjældent har jeg læst en rockmonografi så velskrevet og indsigtsfuld. Man læser begejstret bogen i ét langt stræk. Lars Movin er en kongenial partner for Torben Ulrich og har skabt et mesterværk i interview-genren.